 WooCommerce Ultimate Coupons will help to turn every visitor into the potential customer. 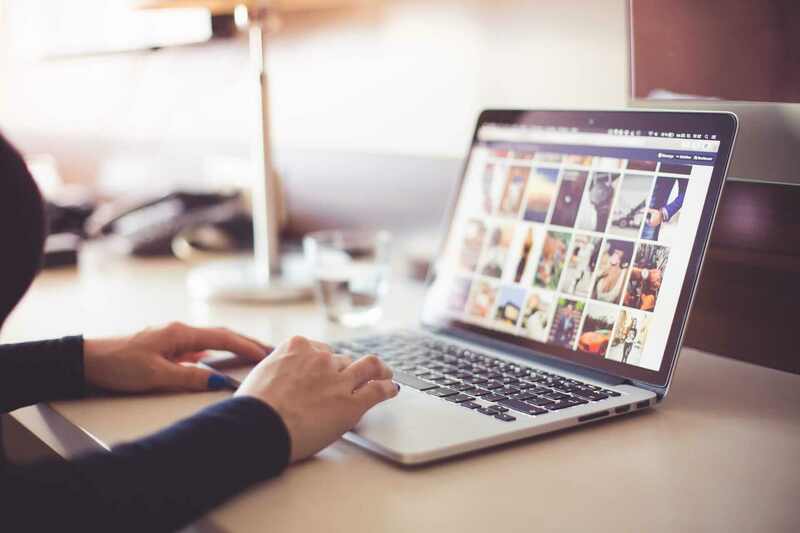 When customers first enter your store, a beautiful and responsive Popup will show up to offer them a discount for following one of your social profiles.We have optimized User experience to the smallest, on both frontend and backend of the extension. We aim to make WooCommerce Ultimate Coupons the easiest and most simple extension for you, which works great on all devices: desktop, tablet, and mobile phone. 1. Download the zip folder of the plugin WooCommerce Ultimate Coupons. Manual installation of plugin is another option to install plugin to your wordpress-environment. The manual installation method involves downloading our WooCommerce Ultimate Coupons Extension and uploading it to your webserver via your favourite FTP application. 1. 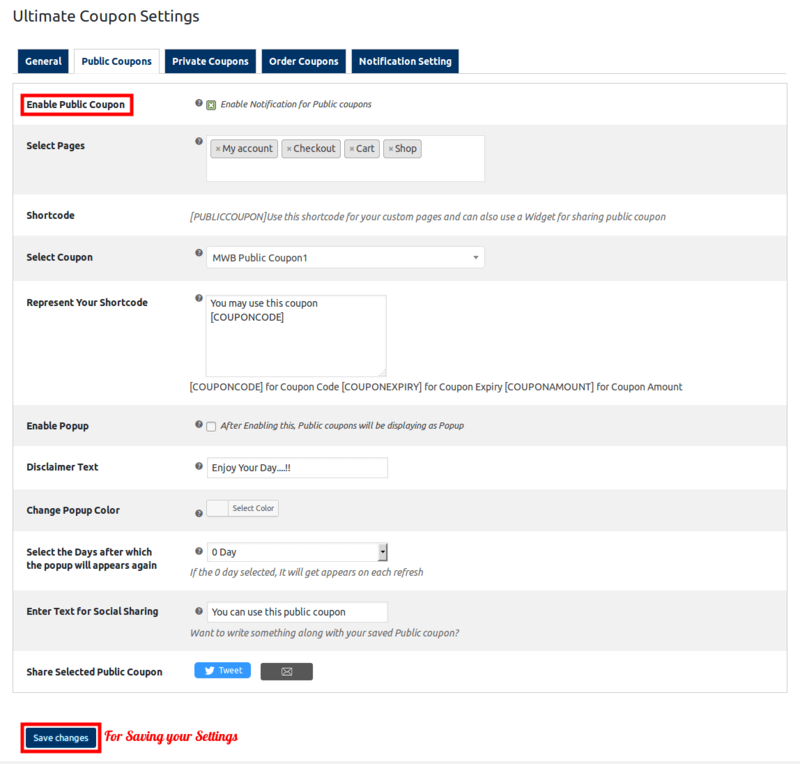 Upload the WooCommerce Ultimate Coupons folder to the /wp-content/plugins/ directory. 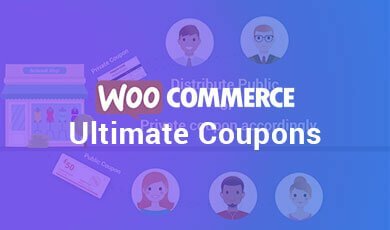 Enable WooCommerce Ultimate Coupons: After enabling this you will be able to use all the functionalities of this extension. Apply Coupon On Shipping and Taxes: After enabling this feature coupon will get applied to shipping and taxes. Manually Increment usage of Coupons: This feature is usefull for offline users. Select Page: Here you can select the pages, where you want to display public coupon. 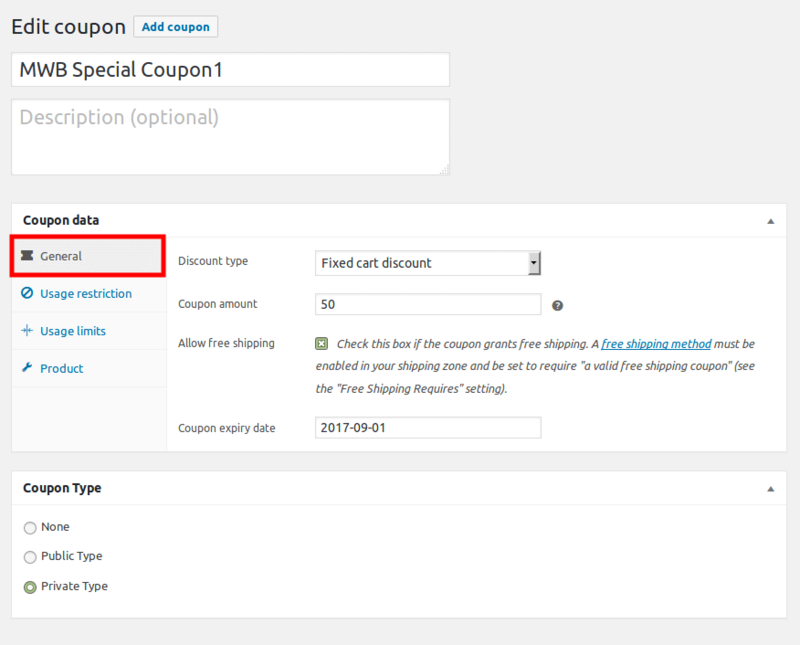 Select Coupons: Here you can select the Coupon, which you want to display on selected pages. Represent Your Shortcode: In this feature you can enter the way you want to represent your public coupon on selected and custom pages. Enable Popup: After Enabling this feature, Public coupons will be displaying as Popup. Disclaimer Text: Here you can enter the text will get displayed in Popup. Change Popup Color: You can also choose the color for your Popup. Select the Days after which the Popup will appears again: Once you click on the cancel button in Popup, it will not repeated on each refresh, till the selected days will be reached. Enter Text for Social Sharing: Entered text will get displayed with public coupons on Social Sharing. Share Selected Public Coupon: You can also share the public coupon via Twitter and Email. Select Coupon: Here you can select the coupon, which you want to send to the user. 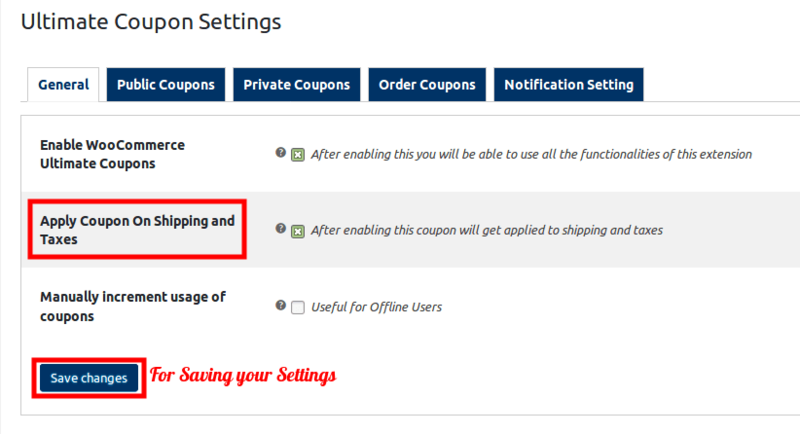 Select Users: In this section you can select the users, whom you want to send selected coupon. Select Coupon Type: This will be the discount type for order coupon, which will be generating by satiesfying below min-max order table criteria. Individual Use: Enable this when the ultimate coupon cannot be used in conjunction with other coupons. Free Shipping: Enable this when the coupon grants free shipping. A free shipping method must be enabled in your shipping zone and be set to require “a valid free shipping coupon”. for this see the Free Shipping Requires setting. Coupon Length: Here you can enter the coupon length excluding the prefix (Minimum length is 5). Coupon Prefix: Enter Coupon Prefix i.e; PREFIX_CODE. Coupon Expiry After Days: Enter number of days after purchased coupon will be expired. Keep value “1” for one expiry when order is completed. Keep value “0” for no expiry. Minimum Spend: This section allows you to set the minimum spend (Subtotal, Including Taxes) allowed to use the coupon. 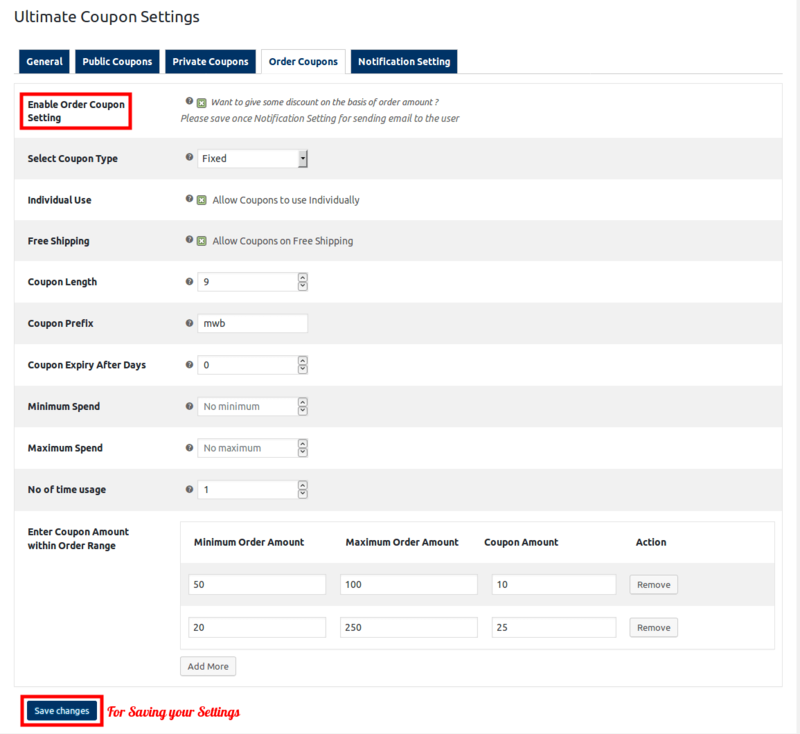 Maximum Spend: This section allows you to set the minimum spend (Subtotal, Including Taxes) allowed to when using the coupon. No of time usage: How many times this coupon can be used before coupon is void. 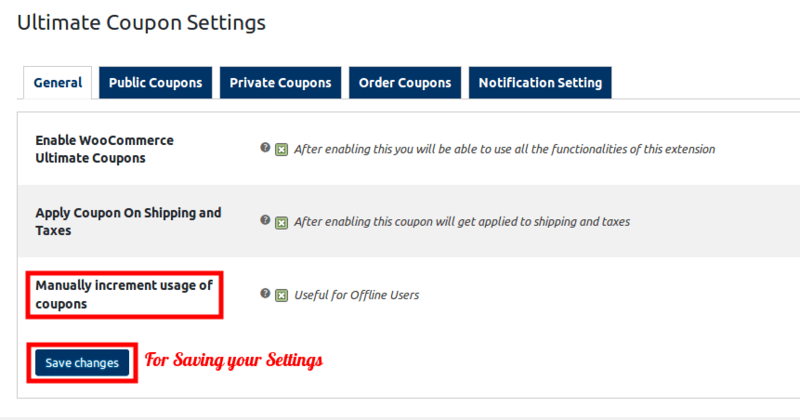 Enter Coupon Amount within Order Range: In this section you can choose the coupon amount within order range. Order Coupon Notification: When the customer order any product within the range of the selected amount by admin, the mail notification will be sent in their emails. Private Coupon Notification: For your trusted customers, we provide the private coupon notification template which is sent their email accounts. 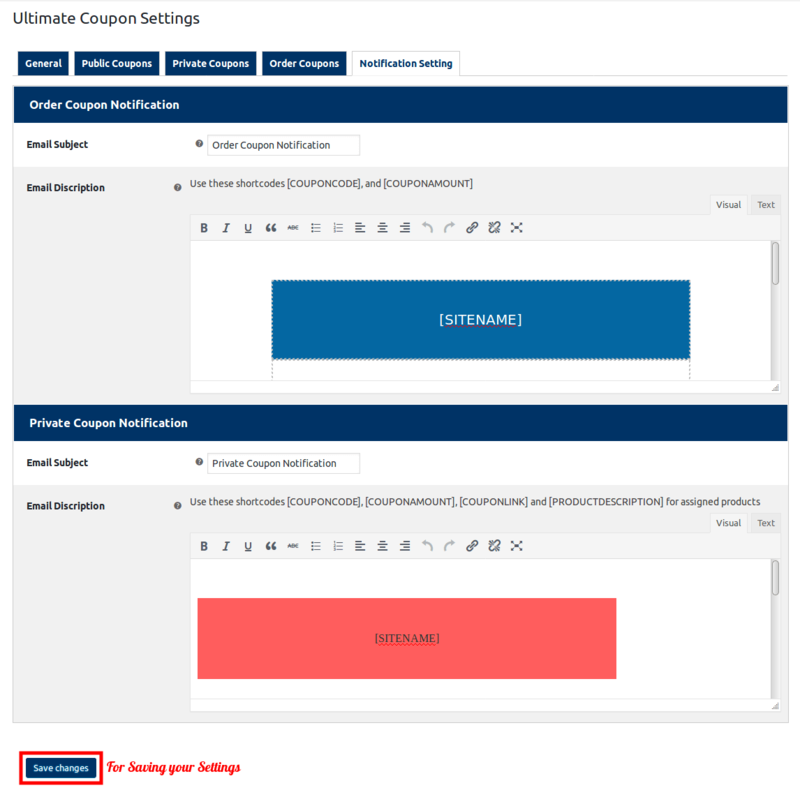 In general Setting section you can enable the WooCommerce Ultimate Coupons section for able to use all the functionalities of this extension. After this Click on the Save Changes button for saving your settings. 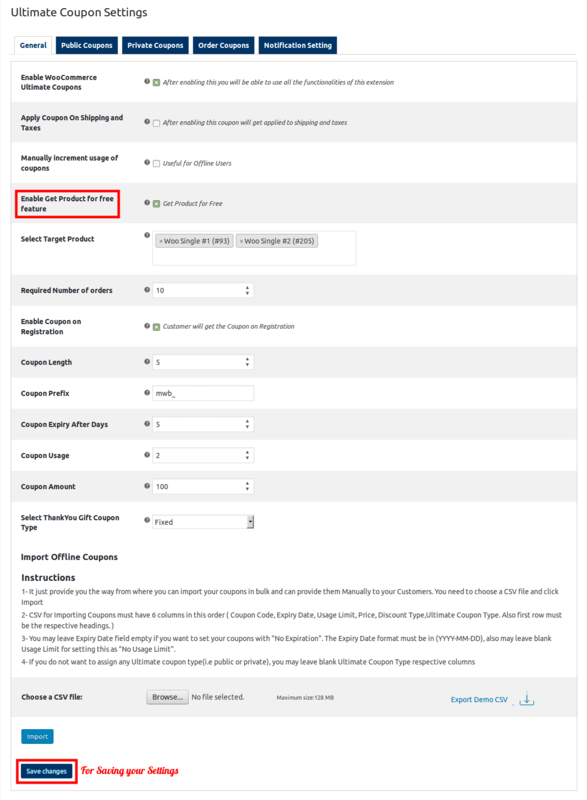 Here you can enable the Apply Coupon On Shipping and Taxes feature for applying coupon on shipping and taxes. After this click on the Save Changes button. Here you can enable the Manually Increment usage of Coupons feature which is useful for offline users and click on the Save Changes button. Public coupons are available for all customers to get the benefits of the service owned by that coupon. We can provide the setting in this coupon which is coupon expiry date, limitations of users and amount of that coupons. Here we provide the Popup for public coupons, After enable this public coupons will be displaying as Popup. 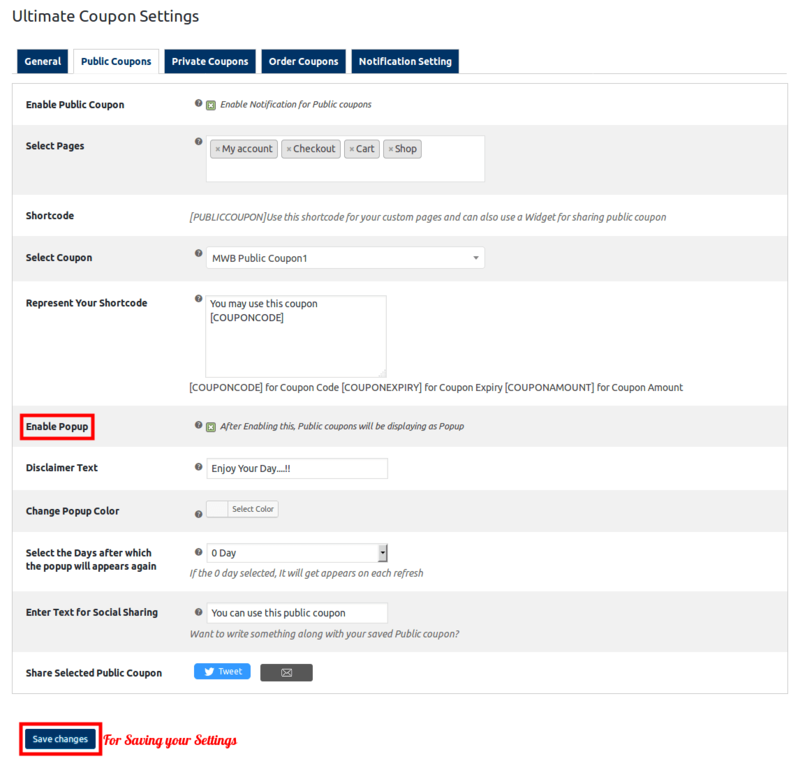 In this extension we can provide the Private Coupons for your trusted customers, here the admin select the private coupon and also select the users which they want to send the email with this private coupon. In Order Coupon Section admin can select the minimun and maximum amount of the order and give the coupon on that amount range. When the customer order any product within this range of amount so the coupon will be sent on their email accounts. When the customer order any product within the range of the selected amount by admin, the mail notification will be sent in their emails. For your trusted customers, we provide the private coupon notification template which is sent their email accounts. 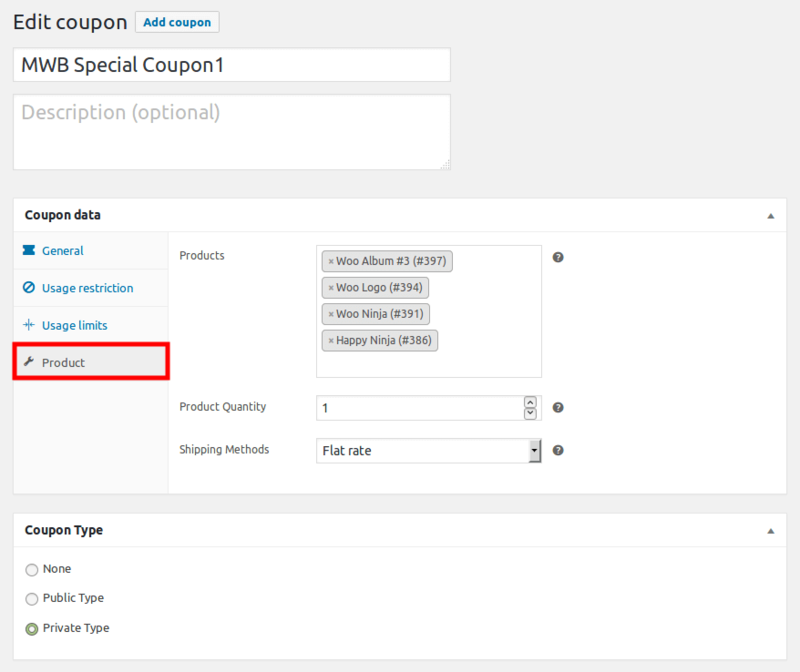 Here admin can generate the different coupons and set their discount type, coupon amount and expiry date in this section. In the private coupon section you can select the products which you want to apply on the private coupon and the quantity of the products. You can also select the shipping methos in this section. In this version we add new feature which is Get Product for Free Feature. In this feature you can set the number of orders must have been placed by customer, only then after he would be able to get the product for free. You can also select the product which will be free for your customers who have placed the required member of orders on your site. Here you can see the mail template which is send by the admin for customers email section.